Ergonomic Desk Space - Why It's Important to have one. We’re at work for quite a large percentage of our day, so it stands to reason we need to be comfortable and happy in our workspace. If you are an employer, there are numerous factors to consider when it comes to ensuring the basic needs of your workforce are taken care of, as well as making certain you are providing an environment that is health and safety compliant. The great thing is, when you focus on workplace comfort and health and safety, so productivity kicks in. Because a happy, comfortable workforce is a productive workforce. And productivity means a successful business. So, what does it take to create this sought-after comfortable and happy workplace? Well the key word you need to look for is, ‘ergonomics’. An ergonomic workspace is one designed to reduce injuries; to boost comfort and to create an overall happier space. Let’s take a look at what ergonomic actually means in terms of workspace; why ergonomics are important and the risks involved in getting it wrong. And, if you’re looking for tips on how to achieve an ergonomic desk space, we’ve got that covered too. 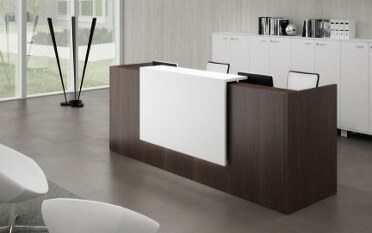 In terms of office furniture and desk space, ergonomic means ‘to fit the needs of the user’. In a nutshell, this means the equipment is moveable, comfortable and adjustable. In other words, it suits the user’s personal needs, whatever they may be. When an employee feels comfortable, they can get on and do their job efficiently without barriers. So, they will be more efficient. Anything that slows someone down in fulfilling their role will affect productivity. 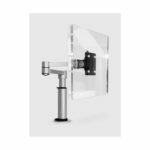 For example, a chair that is too high and a monitor that’s not quite in the right place will result in a worker having to stop to keep adjusting their position. AND it could lead to pain and tension in the back, neck and arms plus headaches, as well as repetitive strain injuries (RSIs). And that means the potential of lost working days, the connotations of which could be very expensive for the employer. Musculoskeletal disorders are a significant contributor to workplace ill health. They account for in the region of 9.5 million lost working days, so much so that the Health and Safety Executive (HSE) has launched campaigns focused specifically on dealing with the issue. For this reason, it is vital to ensure your employees’ workspace does not pose the risk of back and neck pain and upper and lower limb disorders. Ergonomics play an important part in this goal. 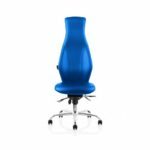 Flexibility and the ability to adjust the likes of desks, chairs, monitors and other workstation elements are absolutely vital. Everyone is different. Some people are taller than others. Some have disabilities. Others have preferences as to how they sit and work. We are all unique. There is no one workstation that fits every worker scenario. Plus when you show your workers that you actually care about their comfort when working, it makes them feel valued. 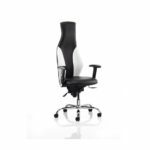 So choosing ergonomic office furniture will be both practical and beneficial to those using it, and to you as their employer, because it adapts to suit individual working needs. If everyone can adjust their workstation to suit their preferences, then mood, motivation and productivity will change for the better. 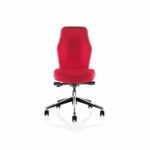 With less sick days, increased productivity and enhanced motivation, there is a lot going for ergonomic office furniture. So, how to achieve the ergonomic workspace? Let’s take a look. How to achieve an ergonomic workspace? 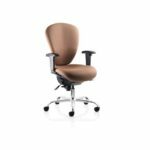 The two key elements of an ergonomic workspace are the desk and the chair, although there are numerous other elements that play a part, such as features that assist with comfort, like adjustable monitor arms and foot rests. 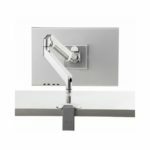 Height adjustable desks are perfect for workers who need that degree of flexibility. 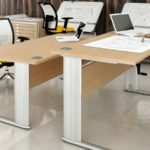 Whether it’s to switch between sit and stand working, or simply to fix the desk at a height that works with a certain preference, or a wheelchair, these desks really do offer it all. Ergonomic office chairs are adjustable in a number of ways. 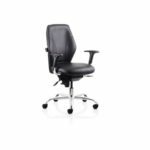 Not only can the seat height be changed, but the back can be manoeuvred so that the worker’s back and neck feel supported. Armrests are an option, but they are only right for certain people. 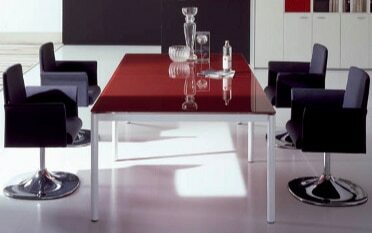 Chairs with removable armrests allow the worker to make their own decision. Ergonomic chairs allow choice between upright and reclining too, with several points in between. This allows workers to take breaks when not typing so they can stretch their muscles. 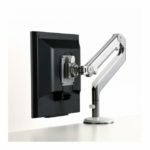 Desk accessories such as monitor arms and footrests can make all the difference when it comes to comfort. If your workers use laptops, think about providing laptop stands and an external mouse and keyboard to help fix posture and reduce neck and arm pain. Laptops aren’t really designed for prolonged use after all. 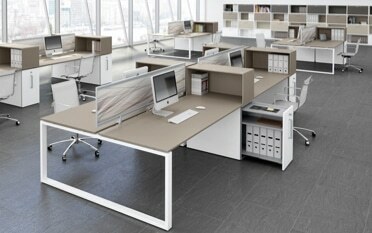 Achieve your perfect ergonomic workspace with the help of Tag Office! 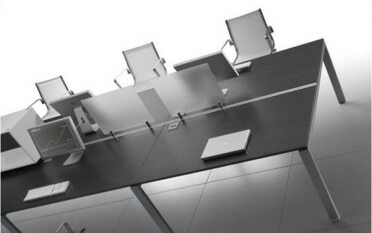 Tag Office is a UK-wide supplier of premium quality office furniture. 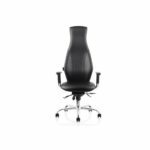 Our collections comprise a range of ergonomic working solutions. You are welcome to contact our friendly team at any time. 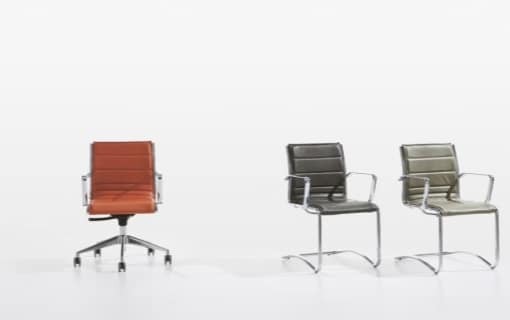 We are always happy to offer tailored advice on choosing the right furniture to suit your specific needs and those of your valued employees. Why not call us today for the advice you need? We look forward to being of assistance! 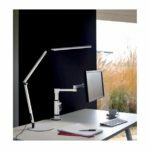 Posted in Office design ideas, Office Desks, Office Seating, Sit-stand Desks and tagged ergonomic, ergonomic chair, Ergonomic Chairs, ergonomic desk, ergonomic desks, ergonomic deskspace, workplace ergonomics on 16th September 2018 .